Luxury sailing Gulet THE IRON LADY (Ex Palmyra) was launched in 2006 and refitted in 2010, she measures 34m (111,7ft) and offers deluxe accommodation in 6 cabins, for up to 12 charter guests. 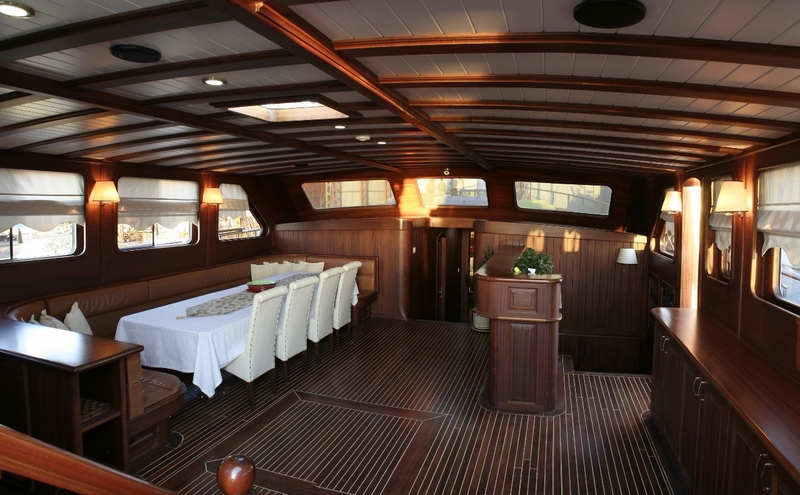 Crewed charter yacht THE IRON LADY features traditional modern interior décor of rich wood panels, inlaid flooring and stylish overhead beams, set on white planked wood. The soft furnishings are neutral and attractive, creating a welcome and fresh vibe. The salon is in a raised position, boasting surrounding windows, a large seating area and formal dining table. 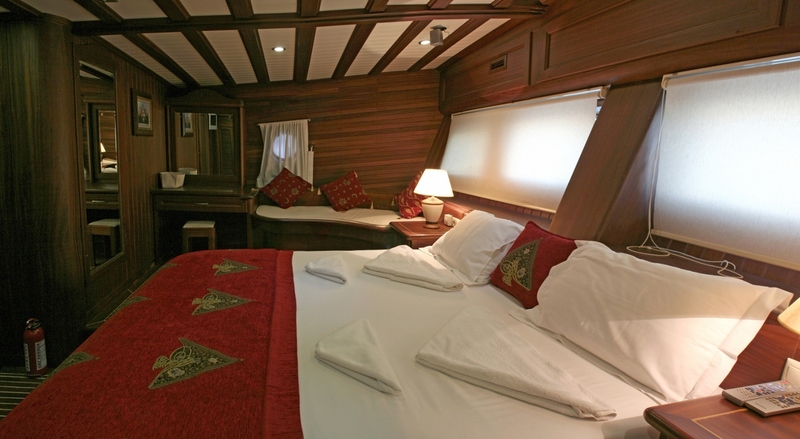 Below decks are 6 guest cabins, each with private en-suite facilities. 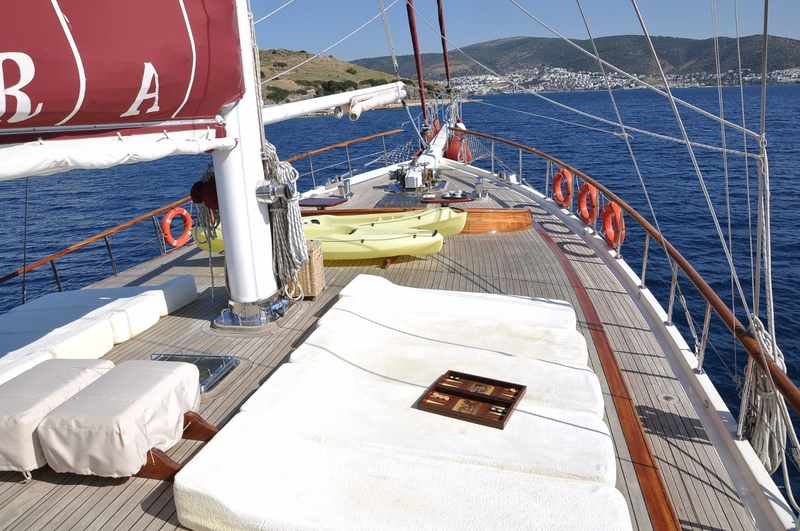 The sailing gulet THE IRON LADY is air conditioned throughout, for optimum comfort. S/Y THE IRON LADY boasts luscious teak decks and plenty of exterior living space, whether you wish to relax in the shade, or soak up the sun. 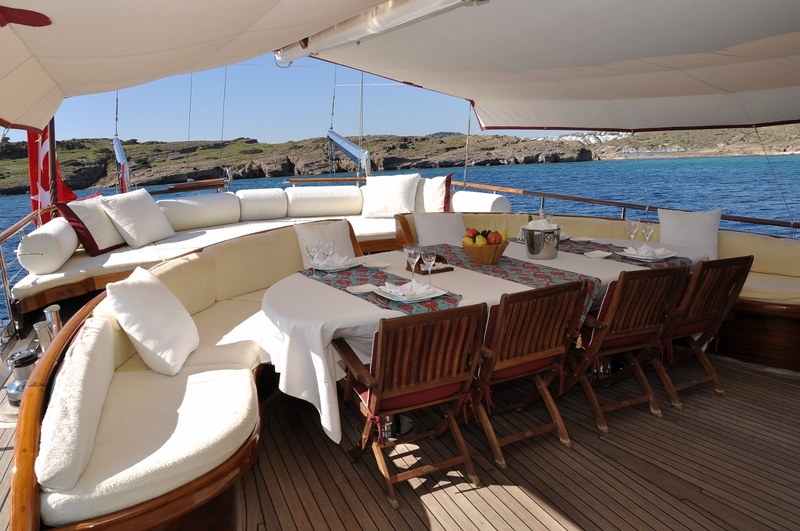 The aft deck offers a Bimini cover for shade, alfresco dining table and full beam aft sunpad. 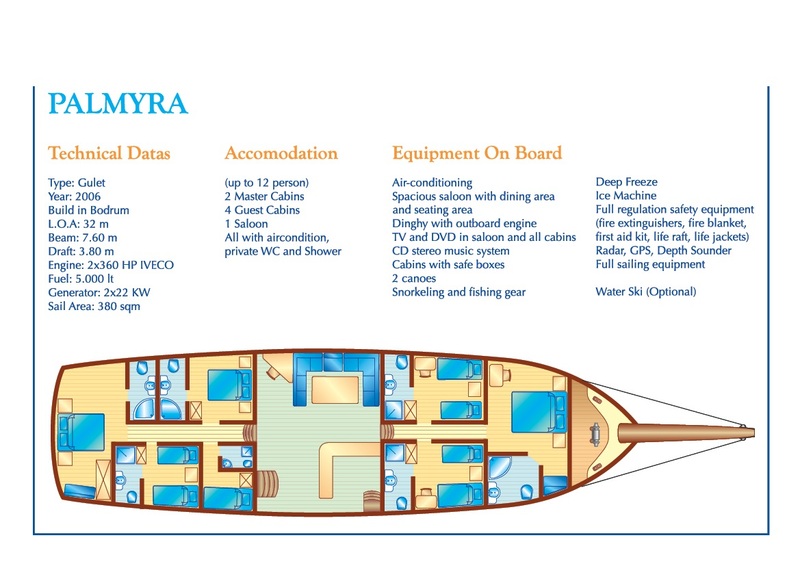 360° decks wrap around the yacht, making walking fore and aft, while at anchor or under sail, effortless. 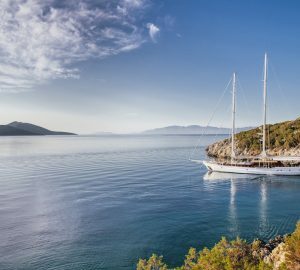 THE IRON LADY sailing yacht has a raised cabin house, where ample sunpads await guests for the ultimate in sunning, while admiring the idyllic views. 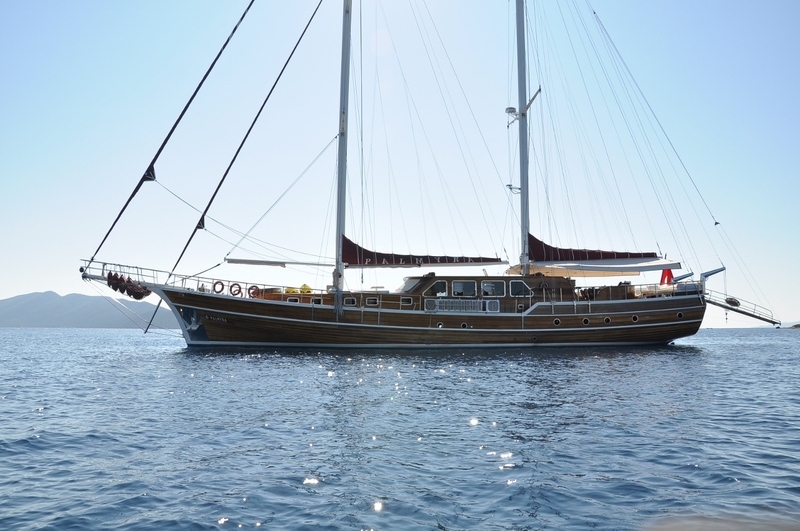 The luxury gulet THE IRON LADY is powered by 2 x 360hp engines while not under sail. She has a ketch rig. 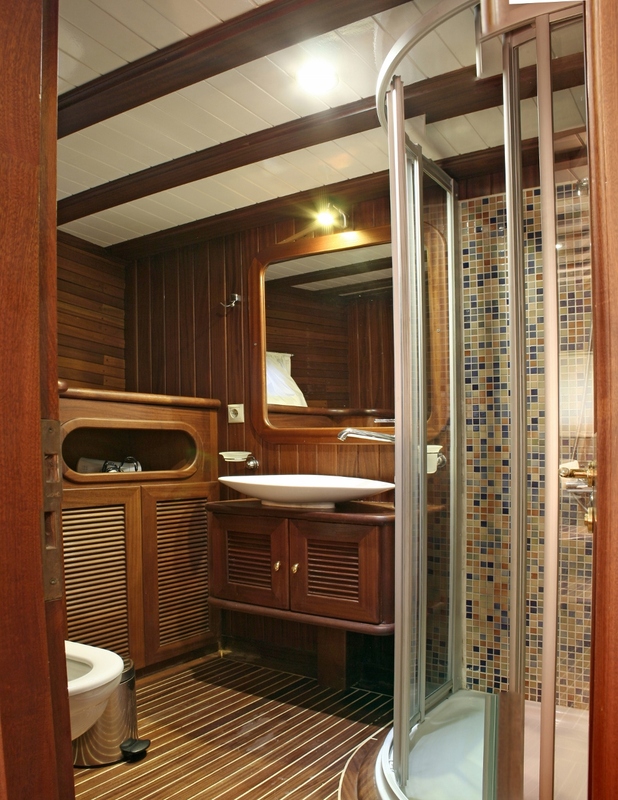 Below decks THE IRON LADY accommodates up to 12 charter guests in 6 en-suite cabins. 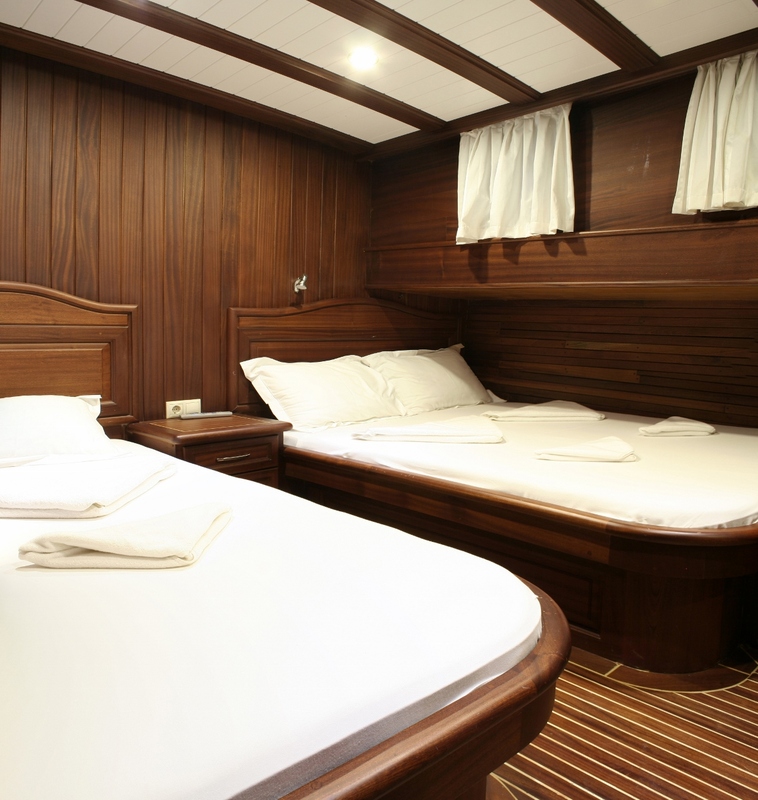 Two master cabins are fore and aft and full beam of the yacht, with double beds. 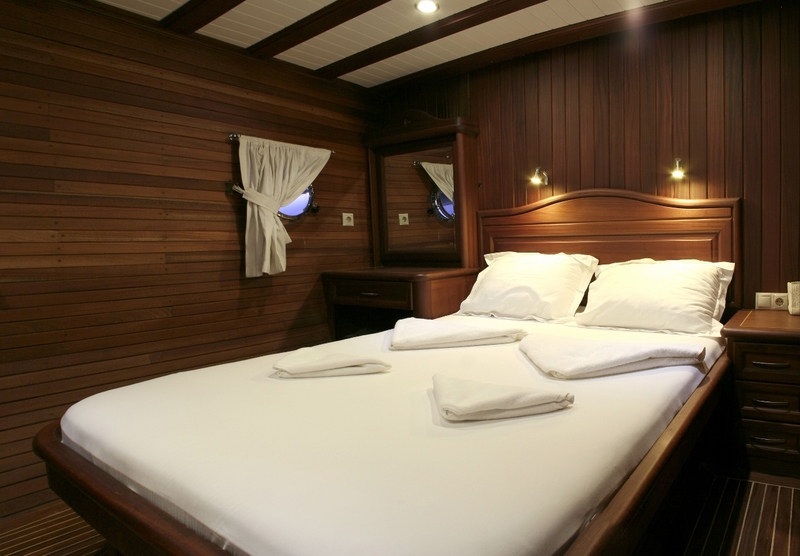 One guest cabins offers a double bed and a further 3 cabins have side by side twin beds. 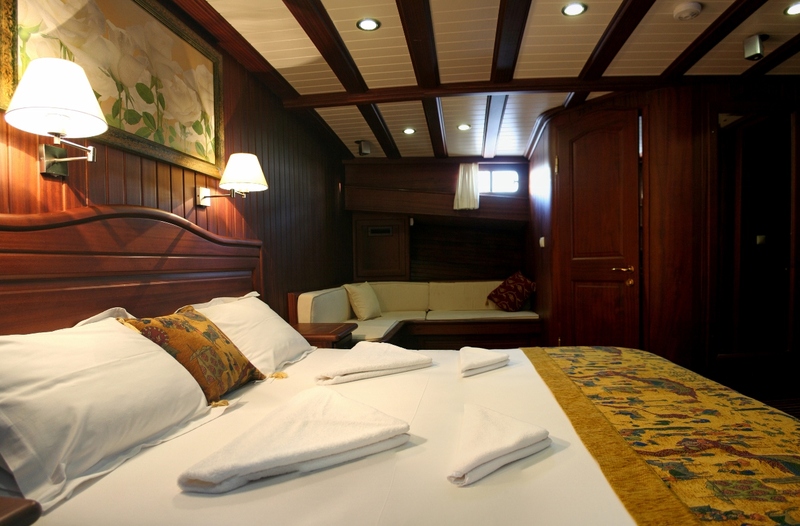 All 6 cabins are well-appointed, spacious and offer a neutral, relaxed ambiance. 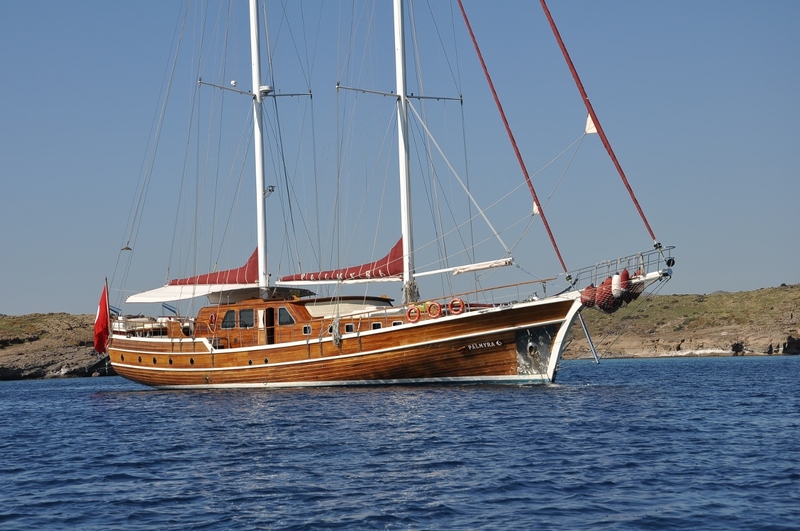 The Eastern Mediterranean based Gulet THE IRON LADY has a Tender with 90hp, water skis, toing toys, snorkel gear, kayak, fishing gear, TV in salon, DVD, Music system, I-Pod connection, Wi-Fi.